Mew can become invisible, so while he is available in Pokemon Go, good luck finding him! 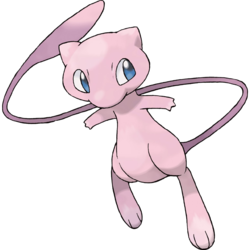 Mew possess the genetic composition of all Pokémon. He is capable of making itself invisible at will, so it entirely avoids notice even if it approaches people.